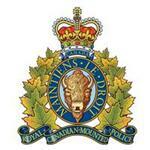 RCMP Alberta - On January 25, 2018, at approximately 09:50 a.m. Cochrane RCMP attended a residence in Morley for the purposes of executing a warrant for arrest. The situation developed into an armed and barricaded event which prompted the assistance of the RCMP's Emergency Response Team. Two nearby schools were notified and steps were undertaken to evacuate students. During the day long standoff, gunshots were heard coming from inside the suspect residence. Two adult males and two adult females, all from Morley, eventually surrendered and were taken into custody without incident. No one was injured in this event and the decision to evacuate students was done out of an abundance of caution. Charges are pending and the investigation continues. No further details are available at this time.